The Cheltenham Festival is the highlight of the National Hunt season. It attracts attention from all corners of the globe. To help punters maximise their entertainment, we have compiled some of the best Cheltenham Betting Offers available from the top bookmakers in the UK. You can see some of the top offers below. 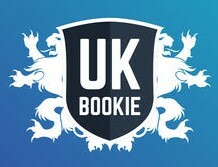 However, there are many further welcome offers available here with other bookmakers. This year the festival will take place from March 12th till March 15th 2019. The Cheltenham Festival is an extremely important week for bookmakers. The famous British meeting brings in a far wider audience than the normal racing audience. Therefore, a fierce rivalry takes place in order to attract new customers. Betting offers! Promotions! 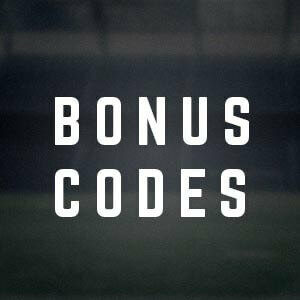 Bonuses! They are all fighting to provide you with the best one. While welcome bonuses are the most common; other promotions reward loyalty. It can be especially attractive during such a hectic week of wagering. Paddy Power offers a first risk free bet of £20 (T&Cs apply | 18+). As well as this, throughout the Cheltenham Festival, Paddy Power offers more specials than any other bookmakers. Users are likely to receive enhanced odds, extra bets, and bonuses to wager on the biggest racing extravaganza of the year. Betfred is another bookie with a vested interest in horse racing. They are offering a welcome offer of bet £10 get £30 (T&Cs apply | 18+) when you sign up as a new customer. Once you stake your first £10, Betfred will credit you with £30 in extra bets for the sportsbook. The Cheltenham Festival kicks off in style with Champions Day on Tuesday 12th March 2019. It starts with the Novices’ Hurdle which will for sure unleash the famous Cheltenham roar! Then the Stan James Champion Hurdle Challenge Trophy, the Racing Post Arkle Challenge Trophy and the Mares’ Hurdle will make for a great opening day. Wednesday, Ladies Day, sees the jockeys battle it out for victory in the 2019 Queen Mother Champion Chase. Furthermore, the Novices’ Hurdle, the RSA Steeple Chase and the Weatherbys Champion Bumper will offer a jam-packed day of high octane racing. Meanwhile, the World Hurdle takes priority on St Patrick’s Thursday in Cheltenham. There is a whole host of top class stayers looking to join an illustrious group of previous winners. The JLT Novices’ Steeple Chase, the Ryanair Chase and the St. Patrick Derby also offer plenty of opportunities for punters to beat the bookies. Finally, Friday, “Gold Cup Day” plays host to horse racing’s most prestigious contest, the Cheltenham Gold Cup. With the likes of Denman, Kuato Star and Coneygree having come out on top in recent years, it remains to be seen who will follow in such famous footsteps. The Triumph Hurdle and the Albert Bartlett Novices’ Hurdle also bring the curtain down on an incredible four days of action. Gordon Elliot and Ruby Walsh dominated proceedings at the 2017 Cheltenham Festival, as the two were crowned leading trainer and jockey. Elliot dominated the meeting with six successes, equaling Mullins but with more second places, he took home the award. Laibak won the opening race; Tiger Roll the JT McNamara National Hunt Chase, securing a delightful hat trick; and finally Champagne Classic bagged the sixth win of the week. Meanwhile, in what was his 11th win as leading jockey during his career, and 5th consecutive one, Walsh also registered a landmark 56th win at the Festival, more than any other jockey in history. On Tuesday, Special Tiara won the Queen Mother Champion Chase. Special Tiara’s jockey was Noel Fehily. On Friday, the Gold Cup was taken away by Sizing John, ridden by Robbie Power. It was a very good week for Ireland. With 14 Grade 1 races over the four days at Cheltenham, each day features its own championship race, and with little to choose between the frontrunners at this stage, it is well worth taking a look at some of the trends from previous races before placing a bet. As the most prestigious hurdle race of the season, the race consists of horses navigating their way round the two-mile-long course, with eight hurdles over a circuit and a little of the Old Course at Cheltenham. With the first race being ran back in 1927, here are some of the most important trends to look for when placing a bet. Best jockey record: Ruby Walsh 4 wins (Hurricane Fly 11, 13, Faugheen 15) & Tim Molony, 4 wins. The Champion Chase is the most prestigious steeplechase race in the calendar, and with 12 fences over the two-mile-long circuit, it is one of the most exciting of the whole Festival. The first Champion Chase was run in 1959, and the following are some of the most important statistics from races since then. Run over three miles, the World Hurdle is the most eagerly anticipated long-distance hurdle event of the season, taking place in almost two circuits of the New Course at Cheltenham. Having been re-branded from the old Stayer’s Hurdle back in 2005, there have been many fantastic races over the history at Cheltenham. Undoubtedly the most anticipated race of the entire festival, the Cheltenham Gold Cup is the most illustrious chasing event of the whole season. Run over three miles, two and a half furlongs and 22 obstacles, ever since its first outing in 1819, it has been a firm favourite among the punters. The Festival will soon take place in March 2019. The bookmakers have compiled their ante-post markets for those looking to make the most of some enticing odds from races across the four days. The Champion Hurdle is one of the most popular races with the punters. The Champion Hurdle is the highlight for many on day one of the Festival. Unsurprisingly, it is 2017 Champion Buveur D’Air that heads the betting among many of the bookies. Trainer Nicky Henderson looks to have the strongest entry for the Champion Hurdle. Willie Mullins won the race twice out of the four last years. He’s no beginner and a sure man in the racing world. Perhaps one of the most competitive looking races on paper at this early stage, with no clear favourite, the Neptune Novices’ Hurdle on day two of the Festival could well be one of the most wagered on. Samcro, an Irish horse trained by the leading jockey of last year, Gordon Elliot, seems to be the bookmakers first choice as the event closes in. The Queen Mother Champion Chase is certainly one of the highlights of the Cheltenham Festival. The ante-post odds for 2019 already have an exciting look to them. Former Arkle winner Altior has proved unbeatable during his career to date, and the seven-year-old is the overwhelming favourite with the bookies for this one. Nicky Henderson is once again looking to be in prime position for another Cheltenham win after his last 2016 trophy. It is 2017 World Hurdle winner Nichols Canyon that currently heads the betting, in what would be yet another win for Mullins in the South-West. The betting market for the Gold Cup in 2019 has already gained much attention, largely due to the emergence of World Hurdle winner Thistlecrack as a genuine contender. Having embarked upon a chasing career under trainer Tizzard, and having won his first two races with relative ease, the nine-year-old is unsurprisingly in the favourites in the ante-post odds. However, 2017 winner Sizing John will return to mount another serious threat for the title. He is the leading horse for the bookmakers! He is trained by Mrs Jessica Harrington and was ridden by Robbie Power. Some of the best and most successful horses from the UK & Ireland line up to battle it out in the most iconic meetings in the British racing calendar. Punters anxiously await the final stages of races, hoping that their pick comes home a winner. The Festival at Cheltenham Racecourse in the South-West of England is held over four fantastic days of racing. Trainers and owners prime their star assets for the most important races of their careers. Although luck in-running plays a role in such races, given the quality and size of the field, contests are often run at a far greater speed than normal. Some of the best in the business hope to write their names into the record books. With 28 races, the Cheltenham Festival offer a total prize money of over £6.12 million. It is little wonder that some 500 horses compete for their share. With only the Grand National able to compete in terms of prize money, punters too see the Festival as the perfect opportunity to get in on the action. Bettors will be on the look out for the best Cheltenham Betting Offers to start their betting journey during this great event. The first Tuesday of the Festival will be on March 12th, 2019 in Gloucestershire, United Kingdom. With over 200,000 pints of Guinness consumed by spectators over the four days, it is safe to say that emotions run high throughout the event. The clash between top English, Irish, and French horses only adds to the excitement for many. The Irish contingent is well backed each year. Any horse racing fan will be able to recall their favourite Cheltenham Festival moment. Shocks, photo finishes and falls add to the drama of the event over the years. Looking back, and still one of the most famous Cheltenham Cup memories is the epic Gold Cup contests in the 1960s between the incomparable Arkle and brave Mill House. Meanwhile, many will look back with fondness to the popular grey Desert Orchid’s Gold Cup triumph in 1989 or, more recently, Best Mate’s third Gold Cup in 2004. It remains to be seen who will write themselves into the history books in March next year. Don’t forget to check the Cheltenham Betting Offers on top of our review to maximise your entertainment in March 2019.